Merely because without completing the task of framing of Norms or Rules, by the Committee constituted for that purpose, certain advocates were designated as senior counsel, it cannot be termed to be an arbitrary or an illegal act or one lacking in transparency or any of the other “epithets” used in the pleadings. There was also no hurried or hasty decision taken in the matter, the Court said. 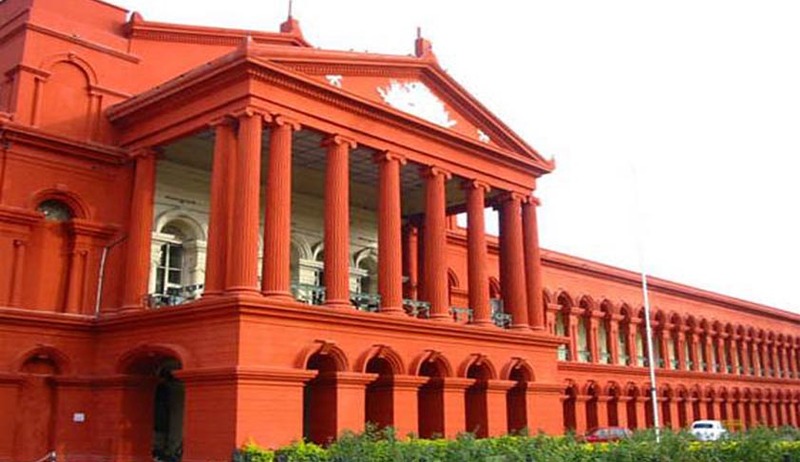 Dismissing writ petitions filed by some Lawyers of Karnataka High Court challenging the process of selection of ‘Senior Advocates’, the Karnataka High Court held that absence of framing of Rules or Regulations under Section 16(2) of the Advocates Act, the Court was empowered to designate selected advocates as senior advocates. The first Bench comprising of Acting Chief Justice Subhro Kamal Mukherjee and Justice B.V.Nagarathna Justice said that the process of selection designation has been in accordance with the norms framed in this matter. The petitioner lawyers had contended that no rules have been framed for exercise of power under Section 16(2) of the Advocates Act and four advocates were hastily and hurriedly designated as senior advocates on the basis of secret ballot without first finalizing the Draft Rules, 2014. They also submitted that if the Draft Rules had been finalized and they had been applied, then fifteen advocates who are designated as senior advocates would not have been so designated as they were ineligible for such designation. They also said that some of the advocates were below 45 years of age and some other designated advocates had relatives on the Bench and the designated advocates did not meet the standard required under Section 16(2) of the Act. According to the petitioners, some of the designated advocates have not been active in practice and did not possess the requisite qualifications for being designated as a senior advocate. According to the petitioners, there was favouritism, nepotism, discrimination, unfairness, non-transparency and monopoly in the decision of designation of some as Senior-advocates. The petitioners also contended that the norms framed are contrary to Section 16(2) of the Advocates Act, as it does not envisage filing an application by an advocate seeking his designation as a senior advocate, rather it is done on taking consent of the advocate by the Court. Making an application by an advocate for the purpose of designation is anti-thesis to sub-section (2) of Section 16 of the Act, they submitted. However the court, rejecting the contention of petitioners, said that exercise of power under a provision of a statute is not dependent upon the framing of rules unless, the legislative intent is, to the contrary. The court added that if the Parliament prescribes in the statute itself, that no action shall be taken under a particular provision of a statute until and unless rules are framed in that regard, then the authority concerned is precluded from exercising powers under the statute. The court observed that in Section 16 of Advocates Act, there is no such Parliamentary intention prescribed. The court also said that norms are not in contradiction with what has been stipulated in Section 16(2) of Advocates Act. The court said that object of Clause (1) of the norms is to provide three different avenues for an advocate to be designated as a senior advocate and the initiative for designation of an advocate as a senior advocate could be from any member of the Bench or, from two senior advocates of the Bar or, by the advocate concerned, Suo motu seeking such a designation by making an application. We do not find any legal lacuna in prescribing three different avenues for initiation of the process of designation of an advocate as a senior advocate. The judges of this Court or the senior advocates at the Bar may not have bestowed their attention on a particular advocate for the purpose of designation as a senior advocate. In such a situation an advocate may bring to the notice of the Court his candidature for designation as a senior advocate. This cannot be condemned as an instance of hankering for designation. It is simply an avenue/channel of receiving names by the Court for the purpose of consideration for designation as a senior advocate, the bench said.